I first heard about the greatness of this restaurant from my husband. 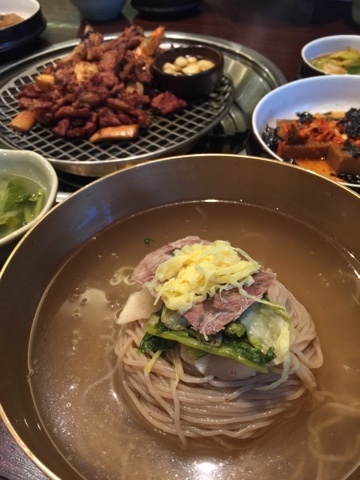 He had come home bragging about eating the best pork bbq and cold noodles (nengmyun). I just thought, okay, good for you hun. He has a knack for praising mediocre places and I've been so used it. But every time he'd eat there, another compliment and another. I thought how can a korean chain restaurant be that good? He's notorious for dragging me to his newest fave restaurants only to have me drilling him on why and how he would have thought this restaurant would surprise me. I'm quite of snob when it comes to eating out, I don't like taking my time eating at value-less restaurants. I'd rather eat at home unless it was over the top too good to miss out. In summary, he has about a 20% passing score of his restaurant recommendations from me. It doesn't help that he prefers gastronomy over grilled leeks. I'd rather eat stalks of grilled leeks over a fancy meal. But he was totally right about this one. This restaurant has yet to fail me. I love their grilled pork galbi for many reasons, one being that it comes out already grilled! The grilled pork is one of the cheapest options for meat there, 25,000won per order. It comes out grilled and ready to eat. I prefer a professional cooking it over me, and this service is just my style. I'm not a big fan of grilling my own meat especially when I really just want to eat and not mind about cooking it, or more so, trying not to burn it and smelling like one. Sure, it kills the fun of it, especially if you are fond of grilling meat or the experience of it, but I'd had enough by now. I just like to eat and enjoy a nice grilled meat and not labor myself for it when I'm out. The grilled pork galbi is nice place to start. I'm not a big meat eater but this one always satisfies. It comes grilled, juicy and tasty and well cooked. But behold, there are no "ssam" (veggies) that comes with the meat! You just gotta savor the meat as it is. Ssam-eaters might be disappointed because I too was taken back the first time, but it's a nice refreshing change from the typical korean galbi places because you can actually enjoy the meat for its honest taste without all that added flavor. 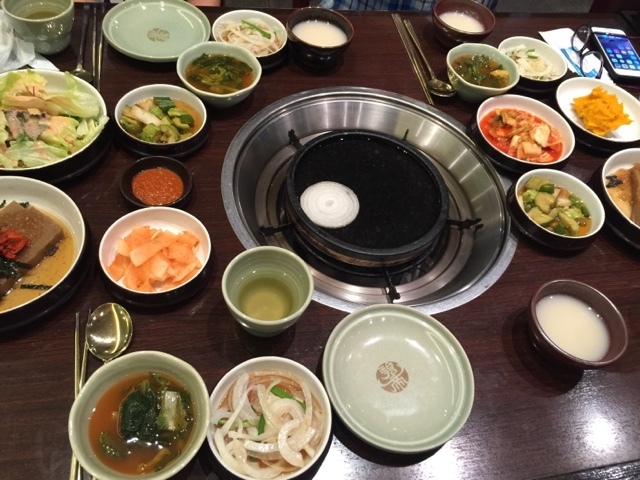 When you order meat, a nice set of side dishes comes along. It comes with a bowl of onions and sauce to dip your meat with. I don't usually like to cover the flavor with too much because their pork galbi is that good! And to top it off, if you are a fan of "nengmyun", you will appreciate this authentic "pyeong-yang nengmyun" - everyone seems to order this in the summer and when having meat. 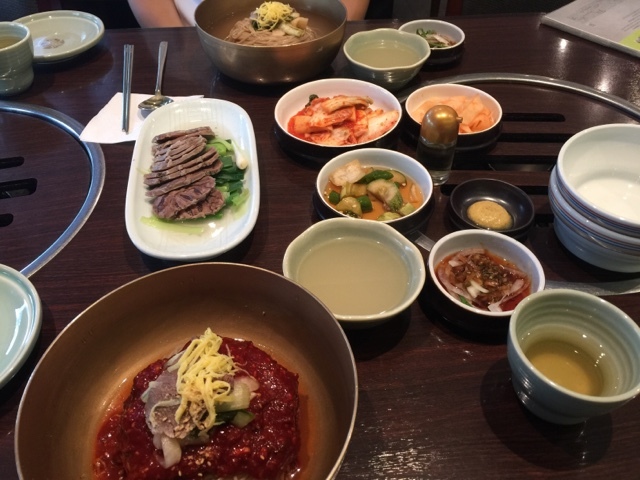 A regular bowl is 12,000won, but you can get a "taster" for almost half the price when you order meat or other dishes. If grilled meat and cold noodles aren't your thing, you can be assured that the rest of their menu is just as good. 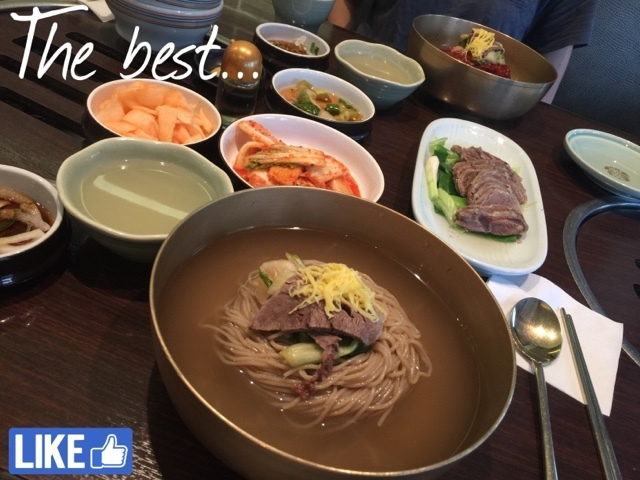 They have pretty much most "meat soup dishes" like sulung-tang and yook-gejang. They even have raw meat bibimbap that beats most bibimbap restaurants. The prices are a bit more than you would pay at other korean restaurants but it's worth the price. The service is always on point - you don't have to yell your orders out from the other side of the room. 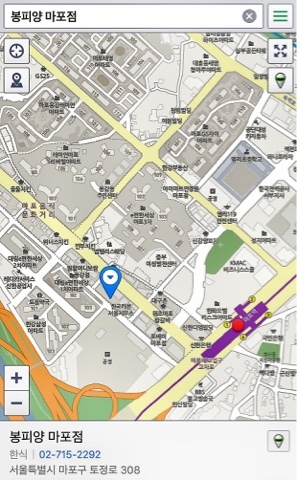 We have only eaten at the one in Mapo. Here is a map and some info below. I hope those that visit it enjoy a good meal there.